Now booking Fantasy Draft & College Alumni Parties! 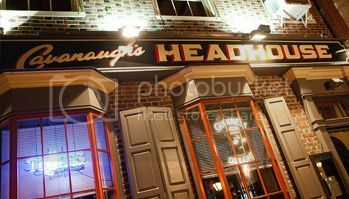 Cavs Headhouse is the place to be for Fantasy Football…. $100 signing bonus to the Alumni coordinator & a FREE open bar for the first half of the first game of the season! Private Rooms Available w/sound on for your game! Email jenna@cavsheadhouse.com for further information & to book your party today! Friday, Dec. 22nd, Join us for our Ugly Sweater Party ft. Drink Specials from Bud Light! Starting at 8pm, order up…. Happy Holidays from all of us at Cavs Headhouse! ‪#‎CavsHeadhouse‬ is happy to partner with ‪#‎Spotluck‬. We couldn’t ask for a better way to expose more people to the awesomeness that are‪#‎CavsWings‬. Download the app and use the promo code CAVSHH to start Spinning and saving! Get Sauced with Fireball Whiskey & Cav’s Wings! Come enjoy the All New Stateside Vodka at Cavs Headhouse!